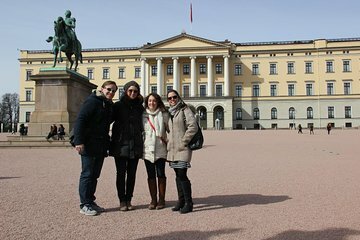 Benefit from personalized attention and the ability to travel at your own pace during this private walking tour of Oslo. Perfect for those short on time or first-time visitors to Oslo, this tour lets you cover the city's highlights efficiently. Your guide will focus their commentary on issues and locations that interest you and your private group; you'll also have plenty of time to ask questions. Our guide was excellent, very knowledgeable and passionate! She asked us whether we had already visited some places and tailored the tour to our preferences. We learned a great deal about the city and greatly enjoyed this tour. Highly recommended!